I usually commence at your hotel or B&B in Bayeux (or nearby) at 8.30am and the tour will run to around 5.30pm. This is my most popular tour, covering the main American DDay sites in a busy but organised day. I like to start here at La Cambe German Cemetery. A powerful place and with a well thought out visitors' center with a huge map of Normandy - useful to start my tour briefing and to understand the layout of the DDay sites. 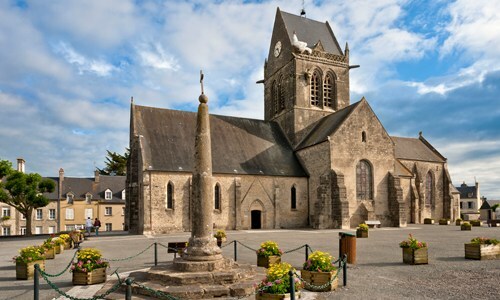 Next comes the market town of Sainte Mere Eglise made famous in the Longest Day film and the center of the American Airborne drops. I will explain the role of the American paratroopers and walk you around the square with its monuments and displays. If you like, you can visit the excellent Airborne museum, which has many unique displays and exhibits. Alternatively you can decide to skip the museum and continue on to more open-air sites. Utah Beach is our next stop, where we will see the beach and memorials and learn what happened on June 6th 1944 - the landings and the characters involved, including Theodore Roosevelt Jnr. Then we usually have lunch at Le Roosevelt cafe - packed with souvenirs and hundreds of WWII veterans' signatures on the walls. I like to take you to this small village between Utah Beach and Carentan. Two 101st Airborne medics treated 80 wounded soldiers in the church here and their story is one of compassion and understanding. 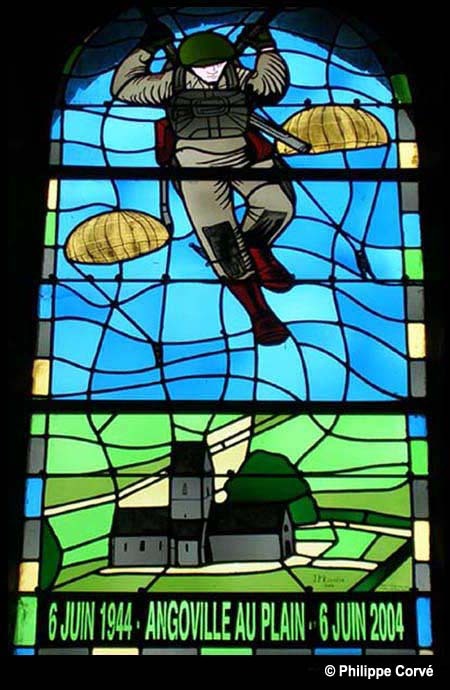 There are several beautiful stained-glass windows inside the church which commemorate the events of 1944. From there we will head to Omaha Beach and the Dog Green sector made famous in Saving Private Ryan. I will explain the landings on DDay and guide you around the memorials. We will then travel to another part of the beach for a second stop, perhaps the bluffs at WN60 overlooking Fox Green beach or maybe the memorials in Saint-Laurent sur Mer on Dog Red and Easy Green. Where we stop will depend on the weather and how much time we have.